It’s such a pleasure having our 2018 Entrepreneur Competition winners at our Selby branch, in central Johannesburg. Sindi Molete of Sindi’s Best for All, Tshireletso TY Hlangwane of Loyal1 and Mpho Mpatane of Minatlou Trading 251. 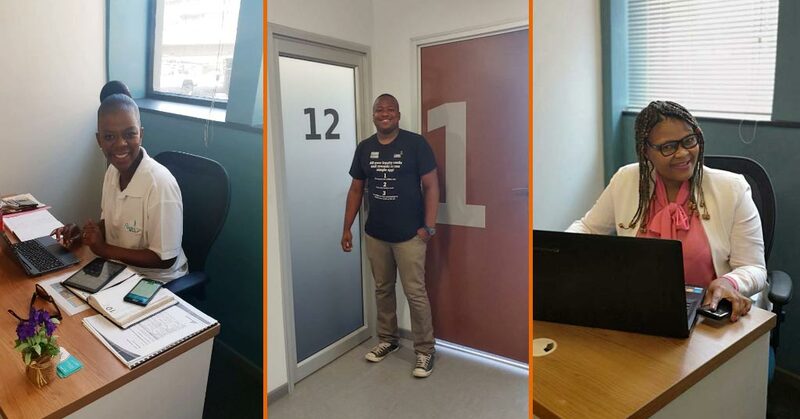 The competition winner, Loyal1, and runners-up, Sindi’s Best for All and Minatlou Trading 251, moved into their offices at The Workspace a few months back. 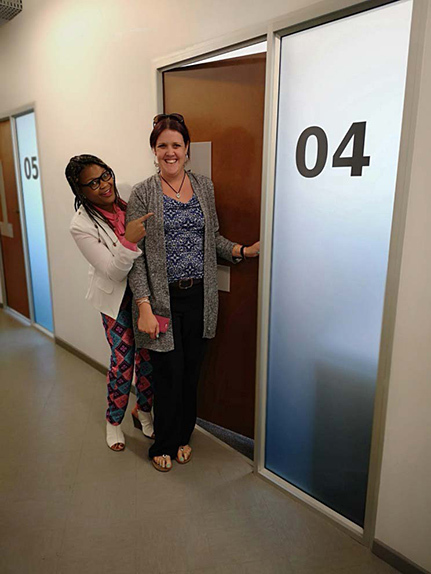 We asked them for a little feedback on their progress so far, and on their experiences of working at The Workspace. We’re delighted to report that all three businesses are going from strength to strength. Loyal1 is in the process of launching the first major update to its innovative, cloud-based platform for managing loyalty card systems. The team has grown and its new Go To Market strategy and communications are “looking great”. 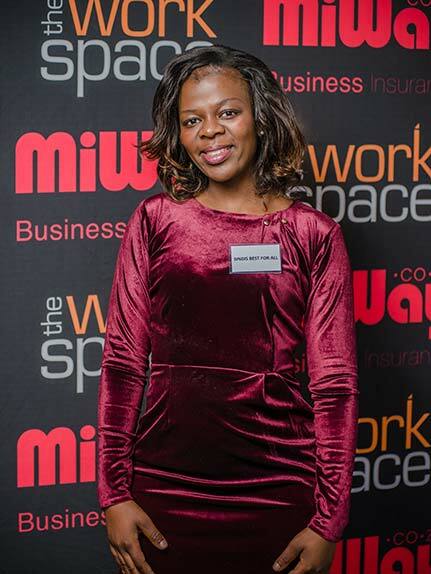 Tshireletso of Loyal1 says that winning the 2018 Entrepreneur Competition “created new awareness for us and brought customers from various industries to our doorstep”. 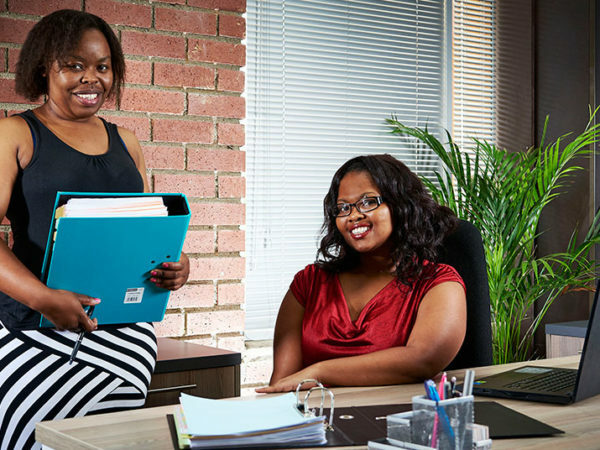 Since moving into The Workspace, Sindi’s Best for All catering company has gained over 20 new private clients and three corporate clients. Tshireletso TY Hlangwane of Loyal1. Sindi Molete of Sindi’s Best for All. Minatlou Trading 251 (phone: 072 046 5011) manufactures and supplies corporate uniforms, personal protective clothing and equipment for use on construction sites, along with a range of office equipment products and consumables. Mpho Mpatana says the company has gained two new SME clients. She also says, “my road map is clearer and I am getting my house in order properly now”. The company is creating corporate uniform samples, and its factory processes and marketing are being professionally handled. Mpho Mpatane of Minatlou Trading 251. … it has been amazing. The convenience of the office has been refreshing. Michelle, Diandre and the rest of the team have stood out the most. They are friendly, efficient and great to work with on a daily basis. Always a smile and a helping hand. The offices are amazing and peaceful. It’s amazing how much work I get to do without disturbances like when I worked from home. 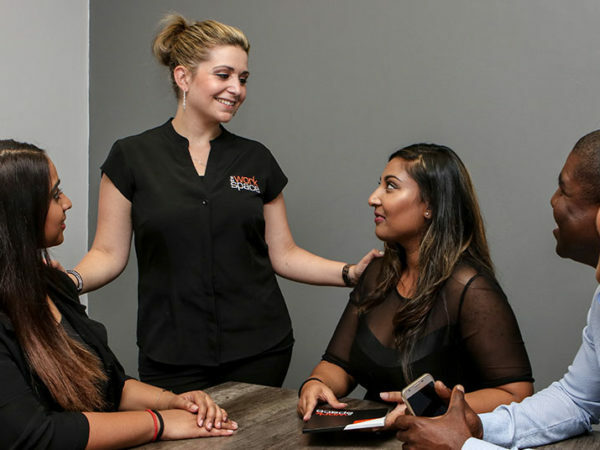 Working at The Workspace has created an even better working relationship between our businesses. We are right next to each other and this makes it easy to liaise without any problems. The professional service that I have received from the front desk…even my clients have commented…They were directed properly to the office and were even offered something to drink. 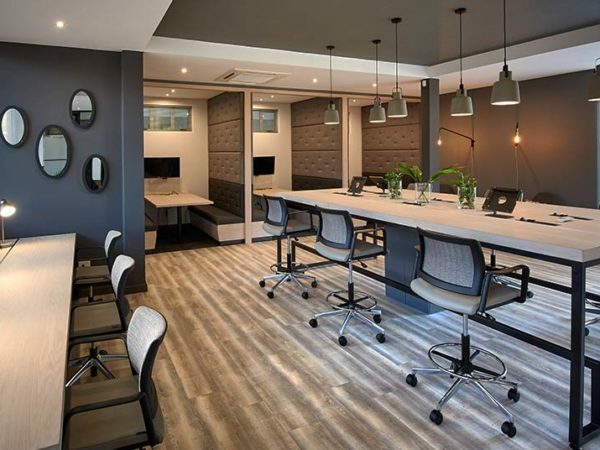 The WiFi connection is fast and good and the office that houses us is perfect for us in size, lighting and all the amenities that we need. The space is clean and well run. So far, my experience at The Workspace has been nothing but a good one. We asked each of the winners for any advice they can pass on to other aspiring entrepreneurs, based on their business experiences. 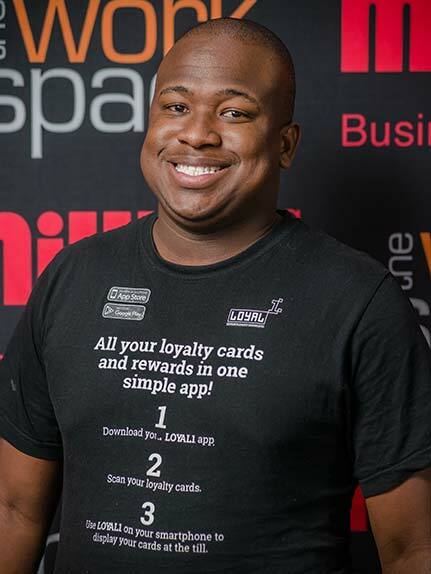 Tshireletso TY Hlangwane of Loyal1 says to “start small but dream big”. There is a new industrial revolution currently happening and tech is the main focus at the moment. There are numerous problems and customer experiences that can be improved in the current climate – so if you’ve ever thought about starting a business, the time is now!  Loyal1 adds “work hard and believe in your solution”. Sindi Molete of Sindi’s Best for All reminds entrepreneurs not to lose focus, always to remember why they started and never to give up. “Most importantly, stay humble and take care of your clients”, she says. 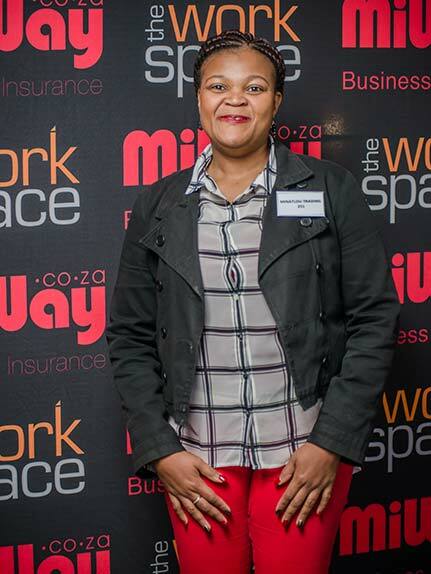 Mpho Mpatana of Minatlou Trading 251 offers useful, practical advice. First, do research and try to stay abreast of what is happening in your industry. “Things change all the time,” she says, “and there is always room to learn”. Second, use all the opportunities that are provided to entrepreneurs, for example by private investors and government departments. Always be inquisitive about the conferences that are happening in your industry and attend those you identify as worthwhile. Where you can, make new acquaintances and expand your network. Last but not least, Mpho notes that “the most important thing to do in your business is to sell, sell, sell”. Without constant sales, you have no business. At The Workspace, we’re sure that the innovative ideas and hard work of our 2018 Entrepreneur Competition winners will continue to bring them success. If you’re in need of their business services or would like to find out more about what they offer, contact the companies directly or via our Selby branch.